An excellent collection of tracks from the Argo Catalogue. Just reading the list of unavailable albums on the back cover is enough to make one weep. 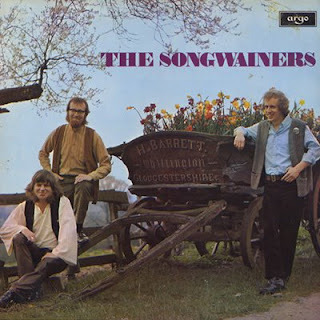 In the 1970s we had a job lot of this album to use as raffle prizes in our folk club, many people ended up with several copies over the course of a year. 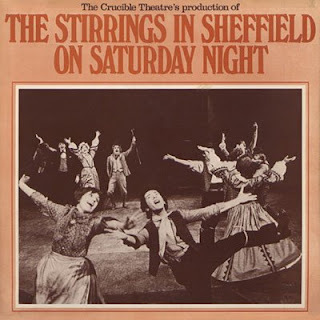 Until 1995 this was the only record to feature a track from the unreleased Young Tradition/Shirley & Dolly Collins album, The Holly Bears A Crown - this is now available from Fledgling Records. Request - Does anyone have a copy of Jon Raven - Kate Of Coalbrookdale? One of my favorite set from his early shows. 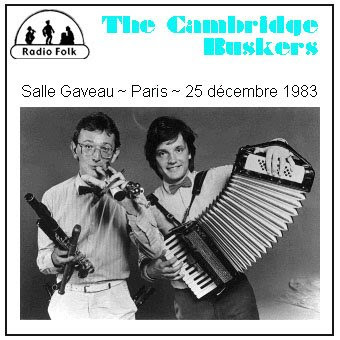 Concert retransmis en direct de la salle des fêtes de Béthune (Pas-de-Calais - France) le 23 août 1978 par la radio régionale. Présentation et entretiens par Catherine Claeys. Burl Ives is truly one of the very earliest of singers to popularise folk songs. An American, he was brought up on a mix of British and American folk songs and was regularly performing them in concerts and on radio from the early 1930s although he would not successfully produce an LP until 1949; the start of over 100 albums. 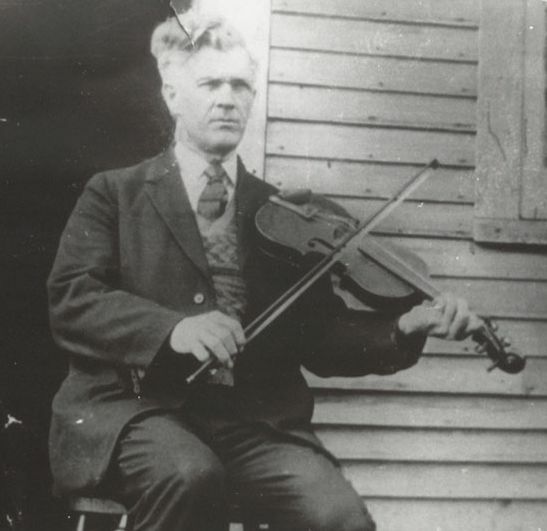 He frequently traveled overseas often singing the folk songs of the countries he visited and he had a large impact on both British and Australian audiences inspiring many to look at their own folk song traditions. 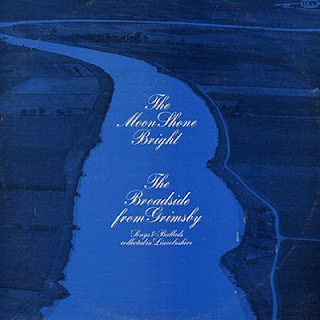 (Anyone out there got a good rip of his 1958 "Australian Folk Songs" LP, please?) Like many of the other early folk music revivalists, we folk fans certainly owe him a big debt of gratitude. In the 1960s he moved more towards country and popular songs. He was a big fan of the song "Wayfaring Stranger" and it virtually became a nickname for him from about 1940. His autobiography was also under that name. He had a many LPs released under that title and "Return of the Wayfaring Stranger" most with different tracks. Even now there is a CD released as "Wayfaring Stranger" and it is different again. This LP was in good condition and and it ripped very well. Enjoy! It would be great if some others could contribute some more of his folk albums. Finally - part four of the Coppers box set. More information on the Copper Family can be found on their website. See part one for the artwork. 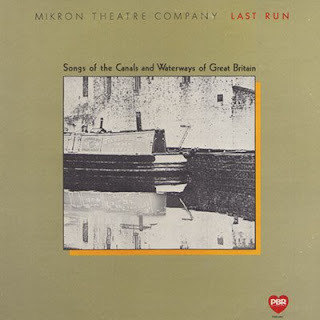 Coming soon: 'I'd Go Back Tomorrow' the 2nd album of songs from plays by The Mikron Theatre Company. Barry Moore has built up a reputation as a singer/songwriter playing the various clubs in and around Dublin since 1976. 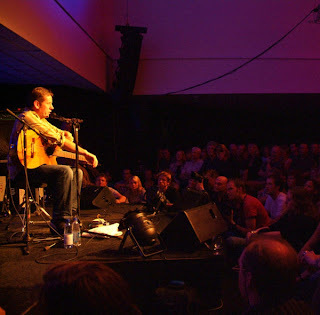 More recently, he has toured the UK and Germany as a member of Inchiquin. His music is contemporary and for the most part self penned. One of his first songs Wave Up To The Shore was recorded by his brother Christy Moore in 1976. Barry was born in Newbridge, Co. Kildare in 1955. 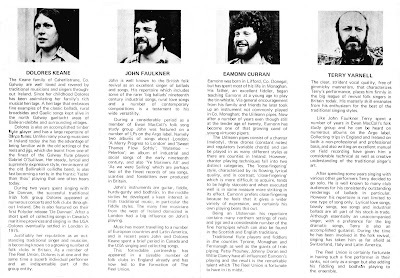 With the exception of Lonesome Robin, learned from Gay Carawan and written by Bob Coltman, and Black Is The Colour, a traditional song learned by Hamish Imlach, the songs were written by Barry himself. Deep Is The Night was written in Berlin during the winter of 1974. Bury My Heart At Wounded Knee is based on the book of the same name by Dee Brown, which is a history of the American West. As in "Bury My Heart", man's right to freedom is the theme of It's Not Good Enough. The instrumental Little Martha And Me was inspired by the playing of Duane Allman and Dickie Betts. This album is currently out of print. Just wanted to let you know that the Pairdown LPs are back from the factory! We are just thrilled with the way they look and sound, and it feels amazing to finally have them in hand! It was great introducing you guys to the album via the free digital download, and I hope a lot of people will want the vinyl version, too! Vinyl is the format that this album was mixed and mastered for, and we really feel that it's the best way to enjoy the songs. Anyway, if you wanted to let everyone know (and of course, it's totally up to you if you want to post about this or not) they can send Paypal ($11.00 US, $15.00 World) to raymond@sortofrecords.com, or mail check/money order/cash to Sort Of Records, 5201 Penn Ave, Pittsburgh PA 15224, USA. Or, people can just email sortofrecords@gmail.com for more info! The digital version is still free to download, and we will include a CD copy w/ the LPs by request. As far as folk records go, this one is gonna be pretty rare... first edition is only 300! Thanks again for having the most amazing blog in the whole world! I'm here every single day! Japanese limited edition direct cut disc. An excellent album by two of the world's best acoustic guitarists. This is unlikely to get a CD release - it's a direct cut recording, therefore no master tape to make a CD from, just the original master disc. This does mean that the sound quality is stunning and just goes to show how much better vinyl can be compared to almost any of the digital formats. Tablature for all the tracks is included with the artwork. Note: the track numbering is slightly wrong on the uploaded files - there is not a track missing, just me starting the numbering wrong on the second side. For another piece of direct cut sound heaven see gonzo's blog. Un concert au Théâtre de la Ville diffusé en janvier 1990 par France Culture. Kathryn Tickell est accompagnée de Danny Thompson à la contrebasse et de Chris Newman à la guitare. La qualité du son est nettement meilleure que les concerts « in De Zon ». J’ai indexé les présentations et les interviews ce qui permet de les ignorer éventuellement. Another album criminally not available. This has probably been posted before - but here it is again (remastered 24bit) at about the best quality I can get it. Finally got round to remastering this. John Doonan with Phil Murray, Henry Eglington and Dave Price on this classic album of Irish tunes (played at a sensible speed for dance). A must for anyone at all interested in Irish dance music. And now - part three of the Coppers box set. The fourth and final part next week. Todays finds in the charity shops: The second album by Mikron Theatre and Lancashire Lad by Mike Harding (49p). 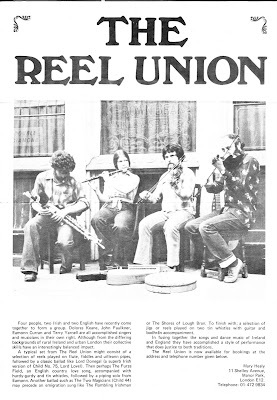 Very first celtic recording issued in Argentina. Hi, The new album by Stonefield Tramp 'Full Circle' is now available as a download. Where a link to the site can be found on a banner on the Home page of my website. All the best from Terry Friend. Roger Whittaker has released a number of albums under this title. 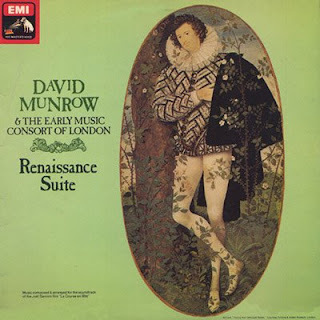 This one, from 1969, has never made it onto CD afaik. I thought it worth ripping because not only does it contain the best versions of some of his most famous songs, but also some real rareties difficult or impossible to find elsewhere. This album has never been released on CD, reportedly because the master tapes were lost. Le concert suivant n’est pas de Ray mais Cilla Fisher, en vous l’annonçant je me suis trompé de Fisher, il y en a tellement ! Cilla Fisher et Artie Trezise en concert ça valait le déplacement, j’ai laissé l’intrégralité de l’enregistrement, la participation du public étant un élément important du spectacle. Cilla et Artie savent très bien comment le faire réagir, ce sont de vrais professionnels du spectacle vivant. Ils jouent sur les « erreurs », involontaires ou non, de traduction, peu importe si c’est préparé les spectateurs se laissent prendre au jeu (je me suis même reconnu !). I found this excellent album in a charity shop last Friday. I used to have it on cassette and played it constantly on my way to go boating in the early eighties. Mikron Theatre Company have been touring the waterways in their narrow boat 'Tysley' since 1972. "Mikron was originally conceived after a waterways holiday by Mike Lucas, Sarah Lucas and Danny Schiller. "Let's put professional theatre on the inland waterways of Britain!". Mikron is now famous for its national waterways tour, aboard the 1936 Grand Union Carrying Company narrowboat, Tyseley." Their first four shows covered the history of the canals from their inception, through nationalisation and finally to their restoration and the beginning of the leisure boom. The 22 songs featured here are from 'Still Waters', Up The Cut! ', 'Keep Yer 'Ands Off' and 'Puddle It!' Together they tell the history of the waterways often with great humour and sometimes with a little tear in the corner of the eye. 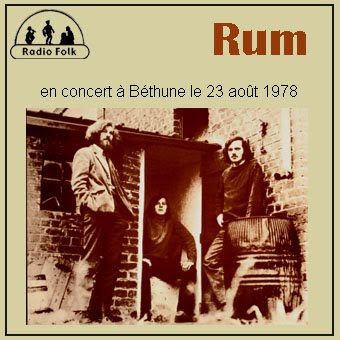 Two of the songs on the album are from ex-boatman John Saxon, a couple are traditional and the rest written by members of the company. For the coming year Mikron have a new show - 'Tales From The Thames' and a revival of last year's 'Fair Trade', the story of the co-operative movement. I missed Mikron last year - we spent the whole summer about two days behind Tysley, when we finally caught up they'd gone off in the van to Lincoln or some such outlandish place. This year who knows. Details of their shows and the itinery for the coming season can be found on their website. There are also 2 cds now available of some of their more recent 'songs from the shows'. Here it is - part two of the Coppers box set. Link for the artwork is in the post for part one. 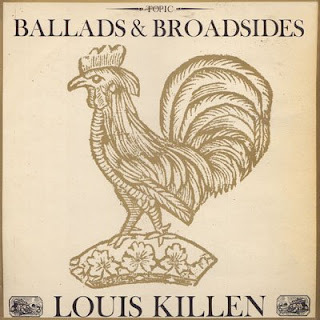 After appearing on several Topic Eps and compilations this was Louis' first full solo album recorded by Bill Leader in 1964/65. 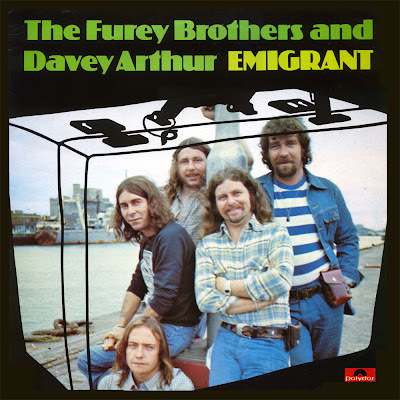 Mostly unaccompanied and drawing heavily on material from 'The Penguin Book Of English Folk Songs' this album set the standard for folk club singers at the time. We'll support only "OUT-OF-PRINT" titles. Thank you for preserving this album on the net. I think Steve Powell would want his songs to continue to uplift to the glory of God. We recorded the entire album live in a long, 1 day session. The engineer, Ray Harris (? ), managed the session, and us, with a minimum of confusion. At the time we were traveling the midwest in a van, all of us, including the instruments. Brother Elisha, maybe in his 60s at the time, may have suffered the most but complained the least, especially after our lunches at Taco Bell. If anyone knows how to get in touch with Steve, or any of the other band members, please pass my address along. I would like to know how they have fared through the years. I am Leonard Brannon and I was in Rainbow Promise. Would love to hear from any Rainbow Promise fans and old group members, especially Ric Bowers. My email is leo@rodallas.org. 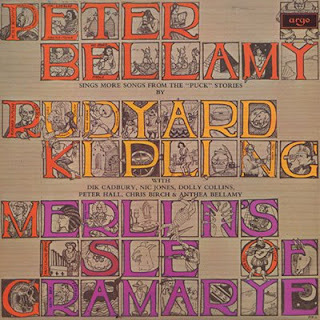 This is the first part of a four album set released in 1971. The other parts will follow at roughly 1 week intervals (or when I get round to doing them). The songs were recorded at Bob Copper's home in Peacehaven by Bill Leader. Interspersed with the songs is a commentary by Bob telling the story of the family and of farm life in rural Sussex. The family on this particular recording consists of Bob Copper, his Cousin Ron Copper, Bob's son John and daughter Jill. The recordings were originally released to accompany Bob's book of the same name - s/h copies can usually be found on Amazon. 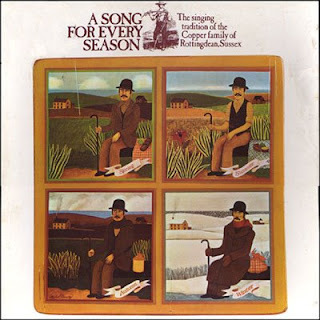 A companion album to this 'Songs and Southern Breezes' featuring songs collected in Sussex by Bob in the 1950s can be found on Gonzo's site. Again the book to accompany that recording can often be found on Amazon. I've included the artwork in a separate file so it only needs to be downloaded once for all four records. Also included is the 16 page booklet which accompanied the album. This is a field recording by Robin Morton of the fine Fermanagh singer John Maguire. His unornamented singing is a stark contrast to some other Irish singing by his contemporaries. 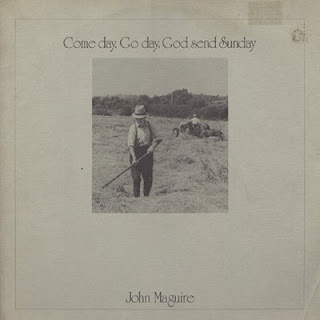 in the book Come Day, Go Day, God Send Sunday - an account of John Maguire's life told in his own words, edited by Robin Morton." Copies of the book were available on Amazon at the time of posting (at widely varying prices). Track 5 side 2 will be familiar to many as sung by Cathal McConnell on the first record by Boys of the Lough. 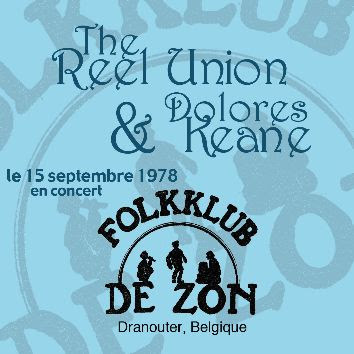 la suite des concerts "in De Zon", comme promis John Doonan au piccolo accompagné de l'accordéoniste Dave Bulmer le 25/3/1977. La qualité est légèrement meilleure, j'ai supprimé les commentaires et présentations (à la disposition des fans de John sur demande). "John Doonan, All-Ireland and World Piccolo Champion, is often described as the Godfather of Irish Music and, in celebrating fifty years of travelling and playing, it has was said that he has been on the road longer than the white lines. in the year of his 80th birthday John died on Friday 8th March 2002. Along with his two sons, Mick (piccolo, flute, whistles, uilleann pipes and vocals) and Kevin (fiddle and vocals), the Doonan Family have travelled from their base in Hebburn, Tyne and Wear to play all over the world. Affectionately known in the north east as the 'Whistling Welder', he has had an unquestionable and significant influence on music and musicians in, and far beyond, the North of England. His grandfather also called John, played fiddle and accordion and his father George was a fiddler. John played by ear and never learned to read music. His flair saw him win an All - Ireland championship competition in Co. Roscommon playing the piccolo in 1968 and come second in the music section of the Welsh International Eisteddfod in the 1970s." 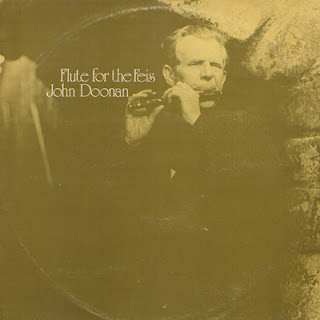 John Doonan n'a enregistré que deux LP, "Flute for the feis" en 1972 et "At the feis" en 1977 dont je ne possède qu'une copie sur cassette, si quelqu'un a les LP il peut en faire profiter les autres. 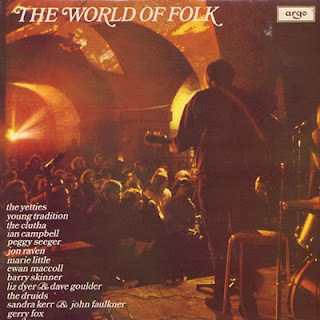 This incredibly hard to find, influential and fantastic collection of tracks by fingerpicking masters was released by John Fahey's Takoma Records in 1967. 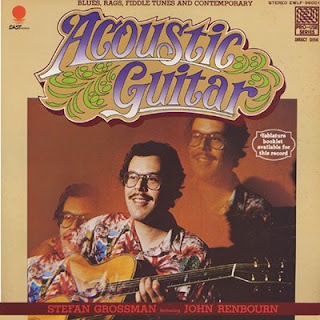 Contemporary Guitar is one of the absolute best collections of solo acoustic guitar and has sadly never been reissued. There are two tracks by Max Ochs, cousin of the folk singer Phil Ochs. These two pieces and an obscure side for Fonotone were the only recordings of Ochs until he was featured on the Tompkins Square labels Imaginational Anthem compilation. Ochs has been doing some touring lately and hopefully some recordings will surface. The John Fahey piece is called The Fahey Sampler and is a long piece which contains the second part of "When the Springtime Comes Again" (which was en route to "Mark 1:15" (1971) and again in "When the Fire and the Rose are One" (1973). Also includes a phrase from "The Transcendental Waterfall". This piece has not been reissued. Harry Taussig has two songs as well. Taussig is better known for his instructional books. He also appeared on a few "How To Play Folk Guitar" records in the 1960's. His only solo recording Fate is Only Once was a private pressing that was limited to 500 copies. It has recently been reissued by Tompkins Square Records and it lives up to the hype. 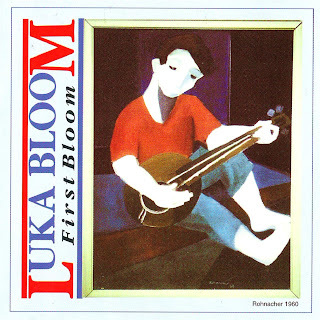 Country blues legend Bukka White has one track here, perhaps to illustrate where this kind of paying comes from. No matter the reason, the Bukka track is outstanding. The albums closer is a thirteen minute exploration by Robbie Basho and is my favorite recording by him. surnommé "le prince des violoneux"
avant que D*** M*** C*** A*** le ressuscite ! As requested - ripped yesterday. 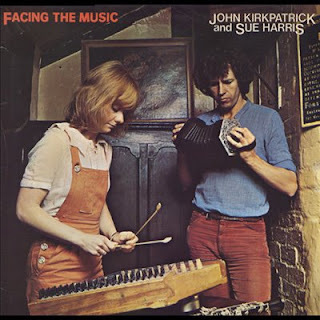 JK & SH's all instrumental album from 1980. This contains some belting tunes - a classic. V.A. Where Would You Rather Be Tonight? 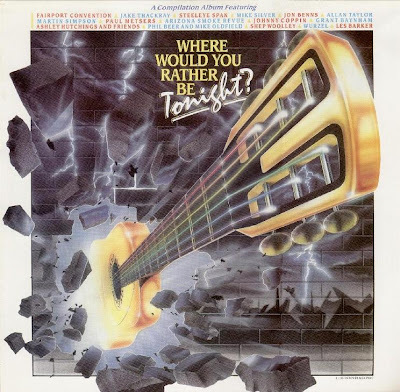 14 - Mike Silver- Where Would You Rather Be Tonight?